My Realtor Moves Me -- Free use of 24' box truck to any active or past client. Currently the truck is not road worthy for clients. Please call. Subject to availability. 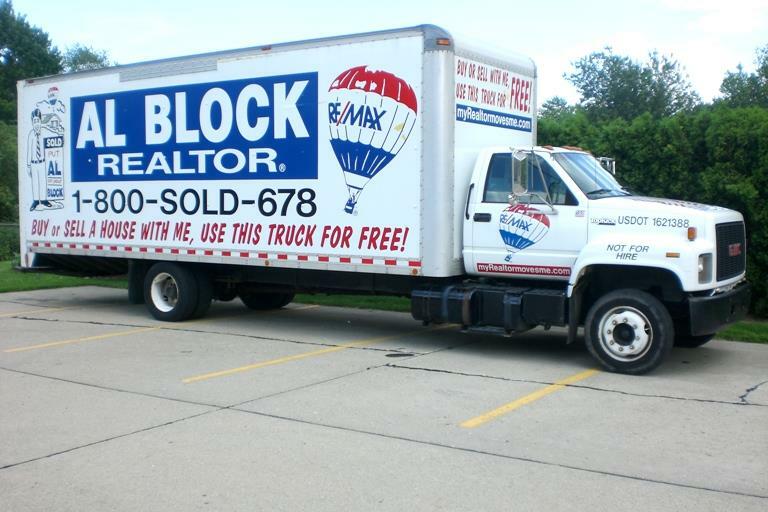 Al Block Real Estate, LLC reserves the right to refuse use of the truck to an person for any reason at anytime, if needed. All users must have current, valid driver's license, good driving record, and auto insurance on a currently registered vehicle. Highlited dates are reserved. Reservations requested & confirmed via email.